Alleigh Burrows first novel, Dare to Love, is a regency romance. It was e-published December 1, 2014 through Lyrical Press. 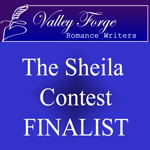 Dare to Love was a finalist in the Single Title category for the 2013 Valley Forge Romance Writer’s Sheila Contest. To read about the making of Dare to Love, see Behind the Pages and Extras and Excerpts. Manuscript finished! Now looking for publisher. Read more about Catching a Pixie on Excerpts and Extras. Catching a Pixie was a finalist in the novella category for the 2014 Valley Forge Romance Writer’s Shelia Contest. Gabby has had a crush on her best friend Lindsay’s brother for years. She could never resist his cute smile, wavy brown hair or gorgeous green eyes. What she doesn’t know is that Sean feels the same way about her. But since he’s considered the charming screw-up in the family, with no motivation or prospects for the future, he has never had the courage to pursue her. When Gabby learns that Sean is once again single, she decides to go for it…at Lindsay’s wedding. While the evening turns out even better than she’d hoped, there are unfortunate consequences. And now she has to decide between security…and love. Counting on Him was a finalist in the Single Title category for the 2018 Valley Forge Romance Writer’s Shelia Contest. Read more at Counting on Him Excerpts and Extras.